The idea that the Americas have no history before the arrival of Europeans derives mainly from the apparent absence of a written record. European, Middle Eastern, and Asian civilizations evolved highly bureaucratic and centralized administrative functions based on the ability to write things down. The influential Canadian economic historian, Harold Innis, described the impact of writing on the building of empires in his 1951 book, The Bias of Communication. He argued that there are two kinds of communications: time-biased and space-biased. Time-biased media seek to transcend time. They are heavy and durable, such as clay and stone. They have a long lifespan but they do not encourage the extension of empires. Think here of ancient Egypt or Sumeria as examples. Innis associated these media with the customary, the sacred, and the moral: they’re heavy on gods and proclamations, light on detailed instructions. Time-biased media facilitate the development of social and economic hierarchies. They also favour the growth of religion and the hegemony that religion imposes on secondary institutions, such as education. For Innis, speech is also a time-biased medium. Speech, in the form of oral culture, can be passed down from generation to generation, yet does not encourage territorial expansion. Oral culture is concerned with preserving values and traditional knowledge. Oral cultures emphasize their past and create a collective society rich in tradition, ceremony, and custom. Space-biased media, conversely, seek to obliterate physical boundaries. They are light and transportable and can be transmitted over distances. They are associated with secular and territorial societies and facilitate the expansion of empire over land and sea. Paper (and papyrus) is an example of space-biased media: it is readily transported, but has a relatively short lifespan since it degrades and can be easily destroyed or lost. Writing, closely linked with paper, is also an example of a space-biased media. Writing emphasizes the present and the future, and is not localized like oral culture. Writing is grounded in technical knowledge and facilitates the growth of states, political authorities, and decentralized institutions. Many societies — perhaps most or even all — combine elements of both kinds of media, but they also privilege one over the other. Europeans in the 1400s had space-biased media at their disposal, in the form of writing. This gave them the power to pass instructions across long supply lines that wrapped their way around Africa and across the Atlantic. It gave their delegates the ability to devise documents that assigned “ownership” to lands they’d just encountered. And it was the very embodiment of their belief system, bound up in the form of the Holy Bible. Indigenous peoples in this hemisphere had time-biased media, which put them at a disadvantage in many ways (which we’ll explore in Chapter 3). But the important point is that they did have media; they had a written record, which the Europeans chose to ignore or attempt to destroy where it challenged their own media. Oral tradition was, as well, disregarded and disrespected by Europeans and, from the 19th century on, attacked in schools and in the courts. Consequently, it is a generally, and wrongly, held belief that the Americas (as we’ve come to call them) had no historic record. In truth, writing, media, and historic accounts were widespread. One of the barriers to appreciating the depth of history in what is now Canada is our commitment to the notion of the country being “new” in the so-called New World. In fact, human occupation of the northern half of this continent began at least 14,000 years ago and probably much earlier. That is a long time indeed — long enough for any group of people to establish a profound relationship with their location, with their place. This is no less true of the indigenous peoples of Canada than it is of the peoples of the Steppe, the Gobi, the Orkneys, or Melanesia. Places themselves are a record of memory, most of which is accessible only to those who know how to read it. For the people of Ulkatcho, as for their Aboriginal neighbours throughout the Chilcotin, memory is everywhere anchored in the landscape, along the grease trails and rivers, of course, but also in the meadows and forests between. For them, there is not a single trail that connects the Fraser [River] with the [Pacific] coast or that unites provinces east and west; rather, there is a dense, lived mesh of trails and a cyclicity and seasonality of travel. Each trail, with its multitude of markers, rock cairns, and boundaries signifies to its reader a history of commerce, conflict, stability, and change. In societies with a strong oral tradition, these are stimulants to memory. They act just as a series of volumes on a shelf might. 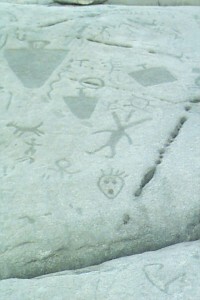 Figure 2.1 Petroglyphs found near Peterborough, Ontario. 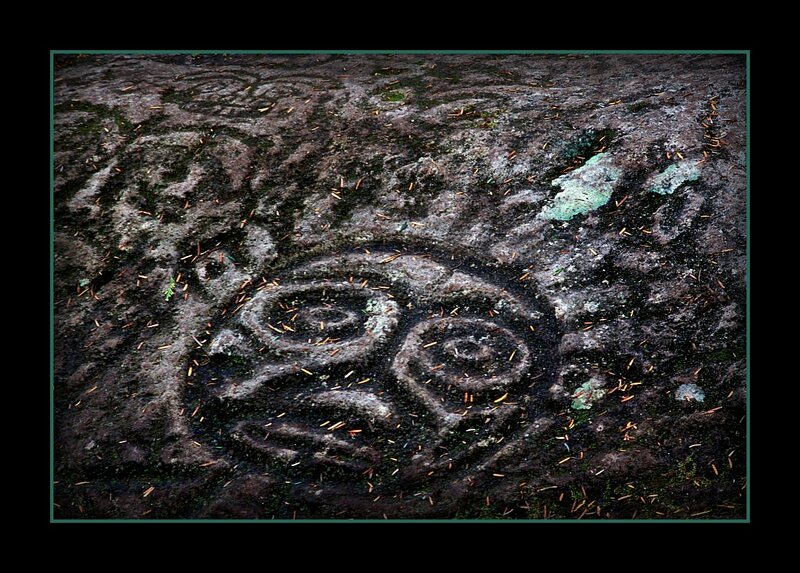 Figure 2.2 Petroglyphs near Bella Coola, in Nuxalk territory, British Columbia. Rock paintings (pictographs) and rock carvings (petroglyphs) are other visible records of storytelling and meaning, and a reminder of the long-term human occupation of Canada. These traces of memory are found in many parts of the country. Less durable examples of record keeping include the winter counts maintained on animal hides and other surfaces by several plains nations, especially the Lakota, one of the Sioux nations. Totemic illustrations — on poles, house faces, tipis — often announce clans and lineages, implicitly another record of past events. Aboriginal written records — of a kind that compares more completely with those of Asia, Europe, and Africa — abounded in Mesoamerica. The Mayan civilizations in particular advanced writing to a point where it included glyphs (symbols for things or people) and syllabics (symbols that represent a sound or, indeed, an entire word). The work of the Mayans rested on the foundations established by still earlier civilizations in the region. Their neighbours and successors, the Aztecs, had their own similar written form of communication. Scrolls written by Aztec authors and scribes from the period both before and after the arrival of Europeans are known as codexes, or codices. Mayan codexes also exist, although many from both nations were destroyed by Spanish invaders who regarded these remarkable forms of writing as highly suspect, because they believed “the word of God” was written only in Latin, not Nahuatl, let alone hieroglyphics. 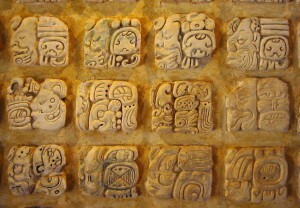 Figure 2.3 Maya glyphs in stucco at the Museo de sitio in Palenque, Mexico. Figure 2.4 An example of Yucatec Maya writing, ca. 11th-12th century CE from Chichen Itza, preserved in the Dresden Codex. As Innis observed, societies that write on stone but not on paper are more likely to be time-biased. One of the qualities of such cultures is that they are well suited for a strong oral tradition. Certainly these societies move around, but overwhelmingly they move within cycles and retain a deep attachment to a particular locale. They gather annually, in some cases to exchange goods, seek marriage partners, determine group responses to threats or opportunities, and indulge in oratory. Without exception, European observers in the earliest days of contact (and, in some areas, much later as well) commented on the oratorical skills of Aboriginal speakers. Whether in the longhouses of the Haudenosaunee (Five Nations Iroquois) or the seaside camps of the Mi’kmaq, Europeans witnessed the fruit of a long tradition of storytelling that paid close attention to the core elements of a tale, preserving its integrity while allowing for personal style. To be able to tell a familiar tale well and with panache was highly valued among Aboriginal societies. This included “true” stories of history. Some 50 years ago, when Bruce Trigger was preparing his landmark two-volume history of the Huron/Wendat, The Children of Aataentsic, he demonstrated the value of what came to be known as “ethnohistory.” This included extensive and critical use of the oral tradition which, of course, meant working very closely and respectfully with Aboriginal peoples, especially elders. Many years later, Wendy Wickwire demonstrated how the oral tradition — whether living or transcribed years ago — passed the historians’ tests of reliability and verifiability. Comparing the oral record of the Nlaka’pamux with fur trader and explorer Simon Fraser’s written account of contact in 1808, she found both remarkable similarities and revealing differences. After 1492 and for the next 500 years “Old World” epidemic diseases raced back and forth across the Americas, leading to demographic disasters, which in some communities, ruptured and even broke the chain of the oral tradition. This was the worst-case scenario but fortunately, many pre-contact accounts continue to be nurtured. This sound clip is of Aboriginal voices retrieved from the late 19th century, specifically, the Nlaka’pamux Dance Song (recorded by Franz Boas). Perhaps still more remarkable has been the survival in the oral tradition of accounts of megafauna, including a giant beaver that non-Aboriginals understood to be a mythical creature. We now know the stories about gargantuan beavers are true: their skeletal remains have been found throughout Canada, some of them measuring 2.5 metres in length and indicating a body weight of as much as 100 kilograms. These massive rodents became extinct about 10,000 years ago, and yet recollections of their existence appear to have been passed down orally across thousands of generations. The lesson of this scrupulous research seems clear: if you want to know something about the history of Aboriginal peoples you might try listening to Aboriginal historians. A further lesson for Canada as a whole would be to value storytellers more highly. A further method of reaching into the pre-contact past is by digging it up — literally. Archaeology, as both a science and a school of thought, has evolved a great deal since its emergence in the 18th century. Since that time, it has become increasingly systematic, thorough, and technical. What is called the archaeological record contributes a great deal to current understandings of human experience in what is now Canada and elsewhere in the Americas. Keep in mind that archaeology originally developed as a technique for studying earlier and long-gone Mediterranean societies like those of classical Rome, Greece, Egypt, and the lands stretching east from Syria through the Euphrates Valley. Its application, too, to sites in Britain and France (e.g., Stonehenge and the Ardèche caves) did not involve any local, living populations. In Europe, the archaeological study of more recent societies is usually described as historical archaeology. The modifier “historical” is, revealingly, not consistently used in North America when it comes to the study of Aboriginal peoples. In the late-19th century, however, much ethnographic work was described as “salvage ethnography,” in that it was presented by its Euro-Canadian practitioners as an effort to “save” evidence of an extinct people, despite the fact that those people were living just down the road. An archaeological dig on Sto:lo or Montagnais territory occurs in close proximity to people whose lives are, in point of fact, continuations of the stories being excavated. As Trigger has pointedly observed, the “ethnohistorian normally depends upon documentary evidence that was produced not by the people” who are being studied, “but by representatives of a radically different culture.” This is important to keep in mind when assessing the archaeological evidence. It is isn’t just that an authentic Aboriginal record presents special challenges — because an authentic historic record of any kind does — but that the “view from here” is impeded by sources and perspectives offered up by contemporaries and scholars whose perspectives may be entirely different from and at odds with that of indigenous people. In short, archaeology is a filter, not a crystal-clear lens; interpretation and analysis is a necessary part of the science. The dearth of a written record does not mean there is no record at all. Oral traditions and histories are as reliable as written primary sources. They are subject to the same tests of verifiability and reliability. The archaeological record can complement the historical record and advance historical theories. Dance Song of the Thompson River Indians recorded by Professor Franz Boas in the public domain. This recording is saved in the Berlin Phonogramm-Archiv. 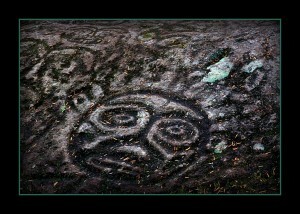 Petroglyphs Two by Lone Primate is used under a CC-BY-NC-SA 2.0 license. Petroglyph Thorsen Creek by Lloyd Guenther is under a CC-BY-NC-SA 2.0 license. 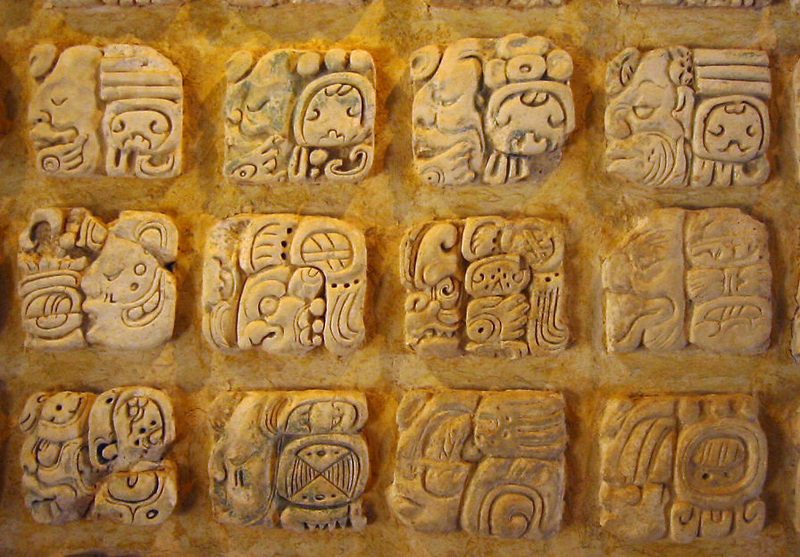 Palenque glyphs-edit1 by Kwamikagami is in the public domain. Dresden codex, page 2 by Pimlottc is in the public domain. 2.2 History without Archives by John Douglas Belshaw is licensed under a Creative Commons Attribution-NonCommercial-ShareAlike 4.0 International License, except where otherwise noted.